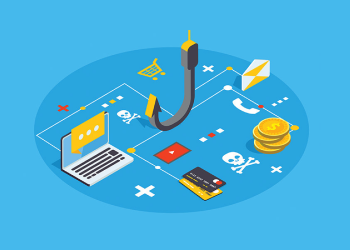 If you're an MSP and manage an organization's infrastructure, sooner or later, you'll be faced with a phishing attack against the organization. What can you do to respond to such an attack in order to control possible damage and prevent further disruption? Keep reading for tips. This article is the first part in a series of anti-phishing articles. This initial post addresses immediate responsive action that you can take following a phishing attack. Other articles will discuss preventative action. As someone who has crossed this bridge many times, I have decided to put together a checklist of remediation actions against a phishing attack, along with Powershell scripts that are intended to help with automating some of the actions you can take in response. The response checklist that follows assumes you are utilizing an Office 365 environment but can also be generalized for other email providers like Google Suite but the ensuing steps may differ. From the author: "Based on my experience managing over 4000 mailboxes across 300+ clients, a lot of users are not a fan of MFA. I am personally not a fan of Microsoft's implementation on MFA. I have found it to be annoying, disruptive, and clunky. At times it prompted users to use MFA when the device was already trusted and authenticated with MFA. Hopefully, they resolved these issues, which is possible; we haven't tested it for around six months. Otherwise, Duo is a great third party MFA provider and integrates well with Office 365, but of course, it comes with a cost that our clients would like to avoid." The idea here is pretty simple - block the phishing URL on firewalls and endpoints. Even if only one of your clients was hit, I would suggest blocking the URL on all your clients’ managed firewalls and endpoints. Hopefully, you have some sort of management tool that allows you to make changes on all managed firewalls in bulk. As an example, Sonicwall offers this with GMS, Sophos provides it with the Sophos Firewall Manager portal, and other vendors should offer something similar to carry this out. Don’t forget to block the URL in your managed antivirus endpoints. As an extra measure of safety, I would recommend blocking the sender’s domain. As long as you can verify that the domain is malicious or fake, or your clients would never communicate with this sender domain, then just go ahead and block it. Otherwise, if the sender domain happens to be authentic and there is a possibility that your client would conduct legitimate communication with it, you can just block the sender’s address instead. It’s definitely possible that a legitimate sender address or even an entire sender domain was compromised. In such an unfortunate event, you’re better off going nuclear and blocking the entire sender domain for now. In the meantime, you can always reach out to their IT administrators to alert them that their account(s) have been compromised. Luckily, in any event, Office 365 offers an easy way to block the sender address or domain within the Exchange Admin Center GUI or by using a Powershell script. In a situation where you are managing more than a few Office 365 tenants, it helps to have a script that offers a simple way to loop through all your Office 365 managed tenants and run a series of commands. I have written such a script that does exactly that. 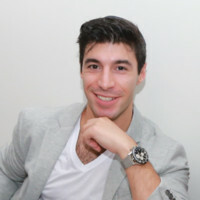 The script below should serve as your MAIN script or function to run to connect to your desired Office 365 managed tenants. It offers the option of connecting with an Exchange remote session using either a direct connection with direct (non-delegated) credentials, connecting to a specified Office 365 partner-managed tenant (delegated), or connecting to all Office 365 partner-managed tenants. It works by connecting, then looping through each tenant. It can run any series of Exchange and Office 365 commands against them. You can use it to generate a license report, pull a list of users, and so on; the possibilities are virtually endless. But for the sake of this article and this step, we are going to use it to loop through all our Office 365 managed tenants and block the malicious sender domain or address. # Specify parameter -TenantID by each command to..
# Specify list of Exchange commands to import into session. # all commands available as that of course will take a lot longer. Write-Host "Getting list of all tenants"
#3 Who Reads The Malicious Email? The next step is to get a list of users who read the malicious email and to purge the malicious email from every inbox. Once we determine the list of users, we will need to take additional steps to secure those accounts. To get the list of users who read the email, you will need to access the Office 365 Security and Compliance Center. From there you can run a Compliance Search to search for the malicious email across all inboxes and generate a report of the results. The search is capable of searching all mailboxes, but it does have some limitations. It can only return up to ten results per mailbox. If you’re just searching for one unique malicious email across all mailboxes, which is likely the case, that limitation shouldn’t be an issue. Another limitation that I encountered is that you cannot retrieve an export of the results in CSV format using Powershell. Instead, you have to go into the Compliance Center within the Office 365 portal and retrieve the results from there manually. There are some other limitations as well, but for the purposes of this article, which is Phishing Remediation, the above two limitations are the only ones that are relevant. To start the search, you need to make sure your Office 365 user account has the necessary roles to conduct the compliance search, and the ability to export the results. Received (Date) > If the email was received today, select dates ranging between today through tomorrow. At this point, we can proceed with purging the malicious email. To do so, you will need to connect to the Office 365 Security and Compliance center with Powershell. It does not currently provide a way to connect using delegated partner credentials, so you will need to use global admin account credentials for this Office 365 tenant. The script below will purge the malicious email based on the results it found from the compliance search you ran. 16 # that this search was run against. Now that we have the report from step 3, we can determine who read the email by filtering out the list with the “READ” column where values equal “TRUE”. I would recommend calling the users if it’s a small handful of them. Otherwise, reach out to their branch office and have their supervisor notify them about the account password reset. If the users are synced with an on-premise active directory server using Azure AD Connect/Sync, you will need to reset their passwords from the AD server and then run an AD sync cycle of the delta. If they are all cloud accounts, you can quickly reset their passwords with a randomly generated password for each. The script function below will reset the user's password. Note that this script is for a direct account only and not a partner account. If you need to run this on a partner account, set the tenantid parameter by each Msol Command. The function will take in an array of UPNs and reset the password with an auto-generated password for all, set the forcechangepassword flag on login to true and export the results to a CSV. Once the affected accounts' passwords are reset, reach out to the supervisor of the office and have him print out the generated passwords list and direct the affected staff members to log in with these temporary passwords in this list. These passwords should not be emailed in plain email communication. Try sending it out with message encryption or as an encrypted file and provide the password to unlock the file over the phone. Next, we need to search for suspicious inbox and forwarding rules. Usually, when an account is compromised, there are inbox rules the hacker creates to delete, move, and/or forward emails. The script below is going to help us find those rules and then export them to a CSV. From there, you will need to review the CSV report, delete rows that contain safe inbox rules and leave the rows that contain suspicious rules. Thereafter, save that CSV to ensure that it only contains rows with the problematic rules. From there, we will import the CSV into the second script below and run it, which will delete those inbox rules. Write-Progress -Id 2 -Completed -PercentComplete 100 -Status "Complete" -Activity "Complete"
This is really just for good measure, but I recommend reaching out to the recipients of any malicious emails sent from your organization’s account that were hacked. Simply run a compliance search for those accounts for anything sent in the timespan of the hack. After you download and go through the results, gather a list of recipients and send them an email notification about any suspicious emails from accounts within your organization within a given timespan. Warn users not to click any links, open attachments, and so on. Also, send a notification to the IT department of the given company. I strongly recommend enabling MFA for the hacked accounts. It might not be convenient for the end-user, but since we’ve established that they are risky and perhaps careless when it comes to sifting through their emails, it’s a necessary action. Explain that they will get prompted to verify their identity if their sign-in attempt is determined to be from an untrusted device. Once you get them signed-in on their computer, make sure their Outlook Desktop application and their Outlook web app are signed in as well, and also make sure they are able to sign-in and verify if needed on their mobile devices. To enable MFA, sign-in as an administrator account into Office 365 (delegated partner credentials won’t work for this). On the left navigation pane, go to Settings > Services & Add-ins > Click on “Azure multi-factor authentication” > Click on “Manage multi-factor authentication” on the right window-pane that appears. From there, you will see a list of users. If it’s just a few users, enable MFA one-by-one; otherwise, you will need to click the Bulk Update button, and upload a CSV for the user accounts to which you would like to apply the change. There is a link there to download a sample CSV to help set up the CSV with the appropriate column headers. I hope this article provided some direction on responding to a phishing attack that has compromised some accounts. Please feel free to comment below with questions, suggestions, and feedback. Stay tuned for a follow-up article on proper preventive security measures to put in place for your managed email tenants. As a result of phishing, in some cases, users are convinced to download malicious files that can easily lead to a ransomware attack. Read our whitepaper to find out how to protect your clients from ransomware with effective cloud backup strategy.